At our schools you’ll find a staff of certified, professional instructors ready to help you achieve your full potential in a friendly, courteous, and positive manner. Our instructors receive the latest training in teaching skills and martial arts techniques. GOAL – BUILD CHAMPIONS IN LIFE! 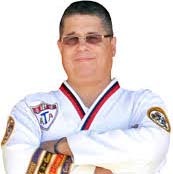 The main reason I joined Championship Martial Arts in Oviedo (Orlando) is because I was tired of feeling sluggish and worn out all of the time. I was drinking 3-5 cups of coffee a day just to keep my body moving. Over the years I had gain about 25 pounds and had pretty much stopped working out. 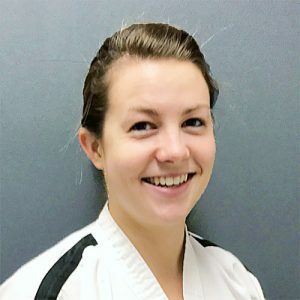 I used to be fairly active, but with a demanding job and a new family I have let my health slide.I have been training in the adult class for men and women for 10 months, I am learning self defense, lost weight, met new friends, increased my energy and have reduced my stress level. Overall Mike is a great kid. However when it comes to doing his homework, cleaning up his toys or even brushing his teeth, it becomes a big ordeal in our household. We have to ask him multiple times just to get something done, and it's not uncommon for him to be disciplined because he will not follow directions.My wife and I were getting tired of fighting with Mike on a daily basis. We wanted him to learn responsibility, self-discipline and to become more respectful.I took karate as a teenager and thought, maybe this will help him. 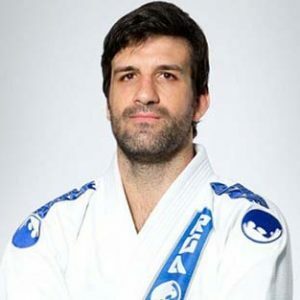 So I got online and found Championship Martial Arts in Orlando. We immediately saw results, even after his introductory lesson he started saying yes maam/sir at home. After a few weeks we didn't even have to remind him to brush his teeth before bed!To this day we are very grateful to the staff and instructors at CMA in Curry Ford. Thank you! My daughter Brenda is a very sweet and kind 5th grader, but she was very shy and had low self-esteem. Because she was so timid, she was a bit of an outcast, and didnt have many friends. Not only that, she was bullied on a daily basis. She wouldnt tell her teachers because she didnt want to get anyone in trouble. She wouldnt stand up for herself and really lacked self-respect and confidence.I was speaking to my friend about her and he told me that his child attends Championship Martial Arts in Vista Lakes, Orlando and I should try it out for Brenda.Well after just 3 or 4 classes I could start to see a difference in Brenda, she was walking with more confidence and then one weekend she asked if her friend from school could come over. Needless to say I was overjoyed.Thank you Team CMA for giving my child her confidence and teaching her about bully defense. My son was always getting into trouble in school. He couldnt sit still at his desk, and would frequently disrupt the class. There wasnt a week that went by where his teacher didnt reach out to me with concern. He got average grades in school which surprised me because when we did his homework together at home he knew his stuff. So I knew it wasnt a learning problem, because he knows his stuff.After only one month of martial arts classes at Championship Martial Arts Eastwood, Orlando, Matthews grades started to improve and his teacher wasnt calling me with bad reviews but with rave reviews in how his behavior and focus drastically improved.I want to thank all of the instructors for everything they do for my child. 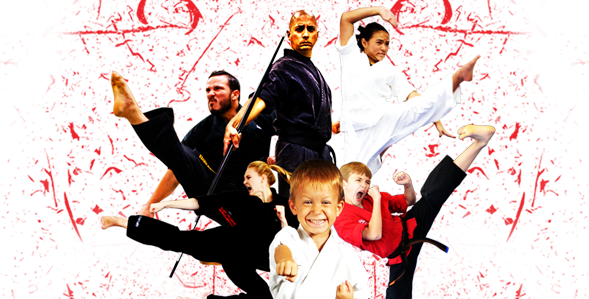 Their martial arts school(s) perform exciting shows for our student body each year to get them excited about having a healthy body and making the right choices. This generous opportunity provides children with the ability to build up their self-esteem, while learning the importance of self-control. Not only do they help our students, they do so much to support our teachers. "This martial arts program teaches students core values, such as focus, respect, and self-discipline. Our students and parents involved with this company have been very pleased with the results that it yields."